If you wonder why the coal industry–and our entire economy–is lagging right now, one of the chief reasons is the cost for business to comply with federal regulations. This post by the US Chamber of Commerce is an eye opener. 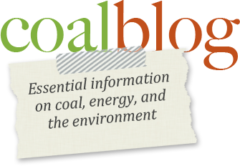 Working in the coal industry gives you a good idea of just how onerous regulation can be, but the coal industry’s troubles are just the tip of the iceberg. In 2013, compliance and economic impact of federal regulations added up to $1.863 trillion. Since 1993, a new final regulation has been issues by the federal government every nine days on average. Regulations cost 23% of the average household’s budget. If it were its own economy, U.S. regulation would be the world’s 10th-largest, bigger than the economies of Canada or Australia. The post goes on to describe how these regulations are just like hidden taxes. However, these ‘taxes’ never appear in the budget, despite the fact that they force industry and taxpayers to bear a cost that is greater than the combined total of individual and corporate income taxes. Government just keeps levying costs on top of cost because these regulations must be obeyed. (In the fall of 2013) … 63 federal departments, agencies, and commissions (had) 3,305 regulations at various stages of implementation. Of the 3,305 regulations in the pipeline, 191 are “economically significant” rules, which the federal government defines as imposing at least $100 million in annual costs. Assuming that those rulemakings are primarily regulatory implies roughly $19 billion yearly in future off-budget regulatory effects. All of the numbers and statistics can be a bit difficult to convey the size of the regulatory burden we face, so Senator Mike Lee (R-UT) posted a picture to his Twitter feed a few months back that helped put the weight of federal regulation into perspective. Behold my display of the 2013 Federal Register. 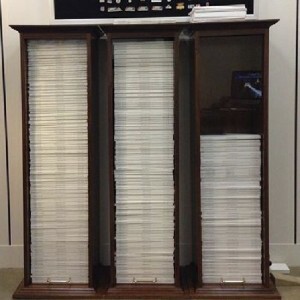 It contains over 80,000 pages of new rules, regulations, and notices all written and passed by unelected bureaucrats. The small stack of papers on top of the display are the laws passed by elected members of Congress and signed into law by the president.